Cambodia’s capital is not pretty. This is not where you look for temples and traditional architecture. 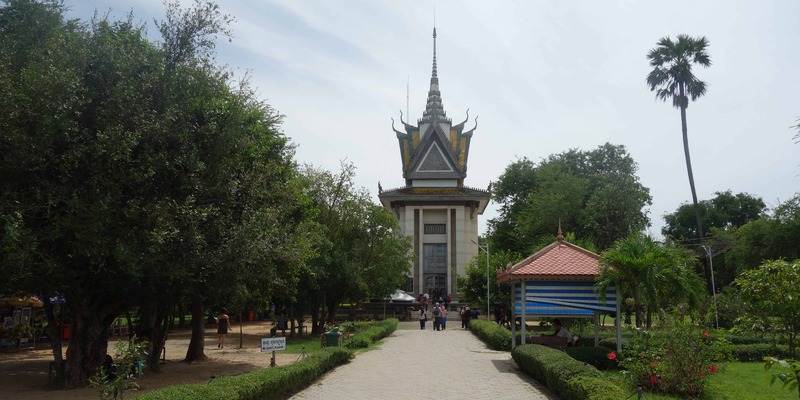 It is instead a place filled with recent history and tragic stories, a city in which you can learn about traditions and the hope that keeps the country going after it was almost completely destroyed by the Khmer Rouge. Some of the city’s highlights are not easy to digest, but they will hopefully leave a life-long impact. 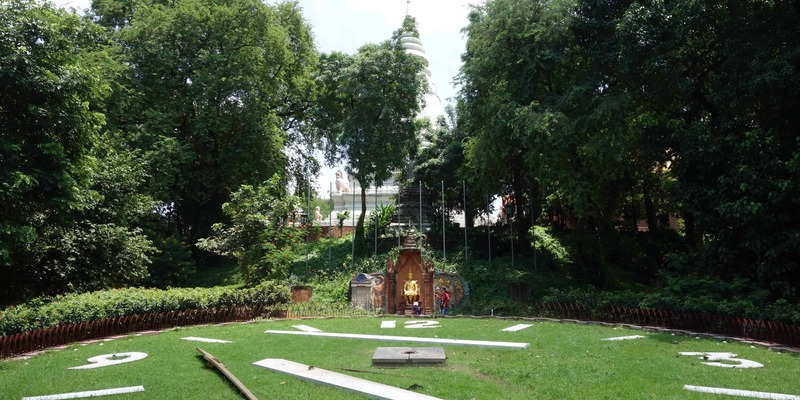 Below, you will find eight sights not to be missed while in Phnom Penh. 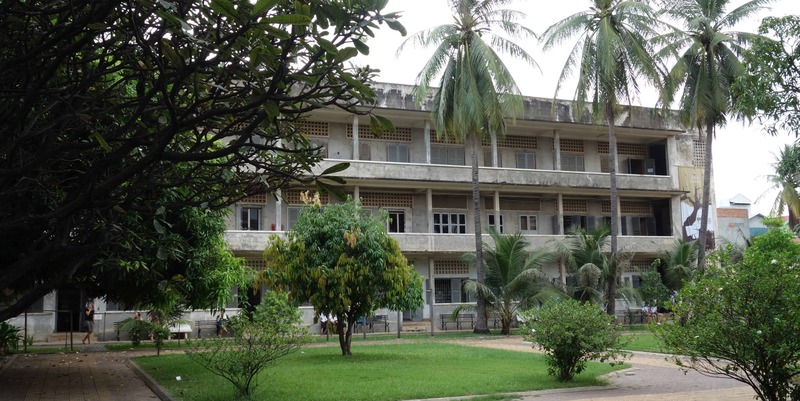 S-21, also known as Tuol Sleng, used to be a high school before it was turned into a high-security prison by the Khmer Rouge. Thousands of people were arrested and held here. Accused of being spies for organisations they had never even heard of, they were tortured and finally executed. A great audio guide improves the experience, supplying you with information as you walk across the prison. You can listen to stories of those who died and those who survived. It is not an easy place to visit but it is definitely worth coming to. The Killing Fields at Choeung Ek are a mass grave. Prisoners from S-21 were transported here and executed, their cries inaudible among the dance music playing over loud-speaker. As at S-21, an audio guide helps you understand the history of this place. You can listen to stories while walking along a lake and you can pay your respects at the pagoda that now holds the bones of those who lost their lives here. Make sure to be respectful at all times. When we came, an elderly couple, who had lost all of their relatives through the hands of the Khmer Rouge, was praying at the pagoda. After all those horrors that Cambodia went through, it surprised me how many places are dedicated to helping the country back on its feet. The Friends Restaurant in Phnom Penh is one of them. 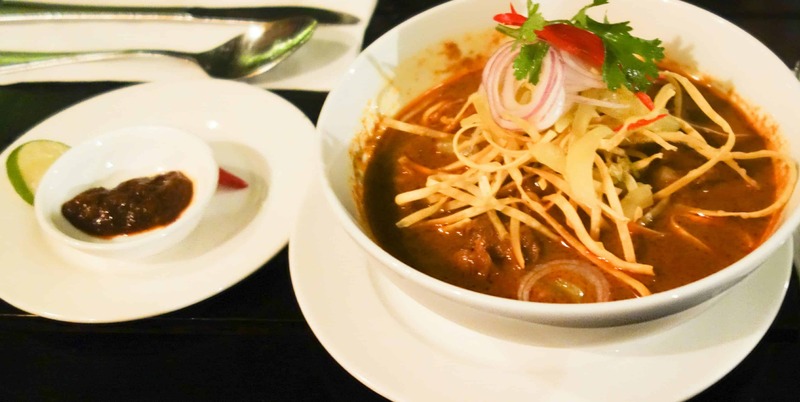 Serving a mixture of traditional Khmer and Western dishes, the restaurant employs street children and gives them a chance at education and having a future. Look around and you will find many good cause restaurants and shops in Phnom Penh. I suggest you visit at least one of them. 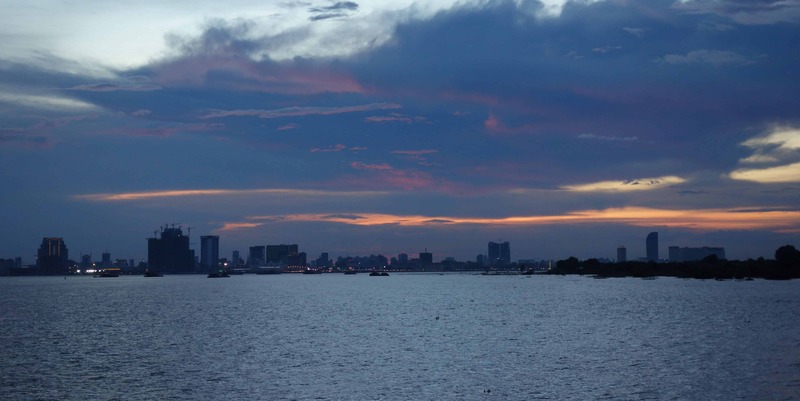 Boats going out at sunset are the perfect opportunity to view Phnom Penh from a different angle. Most will take you past a floating village or market before you see the sun set over Phnom Penh. We weren’t very lucky with the weather, but despite the clouds we still had a great sunset. Plus, cocktails on the boat were cheap so it made for a great experience. The Cambodian Living Arts were created in an attempt to rescue Khmer traditions. During the reign of the Khmer Rouge, most artists were persecuted and killed. Afterwards, a man set out in search of the survivors, in hopes of teaching their arts to young students. You can admire the result at the National Museum in Phnom Penh. The show is beautiful, presenting a wide variety of music and dances with explanations about each of them. It is definitely worth a visit. The Russian Market is a great place if you want to go shopping. 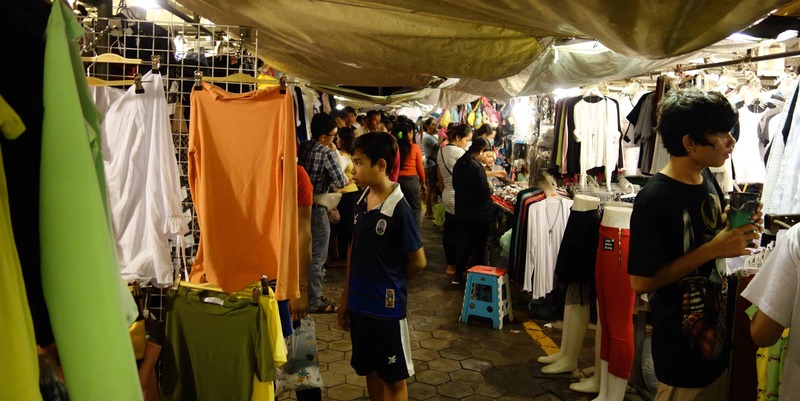 Whether you’re looking for souvenirs, new clothes (maybe some elephant pants) or just a place to grab some typical lunch, you will find it here. 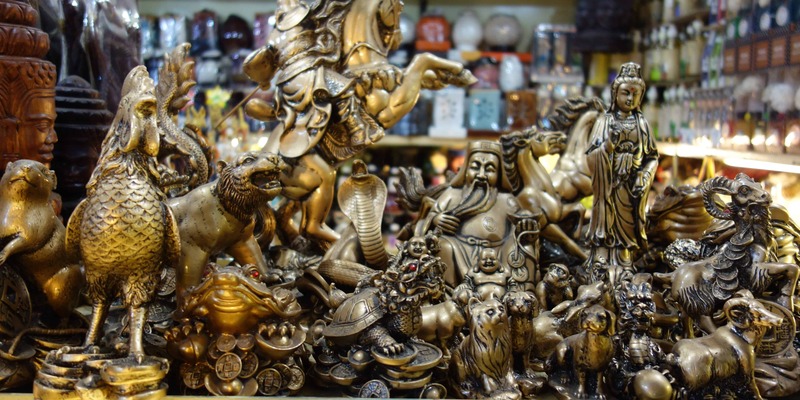 Go beyond the souvenir shops to find the sections where locals shop and where you can get everything you want – including piles of fake 100$ bills for offerings at temples. I wrote earlier that Phnom Penh is not the place where you will be looking at pretty temples. Wat Phnom is an exception. Built on a hill, it consists of a couple of pretty buildings, with the main one being beautifully decorated both in- and outside. The temple was very busy when we came, with people lighting incense sticks to pray and making offerings. Compared to other cities, Phnom Penh does not offer the biggest night market, but it has a good choice of streetfood. The many locals shopping here give it an authentic feel. Of course, this is not all you can do in Phnom Penh but I hope it gave you a good overview of the city and its highlights.